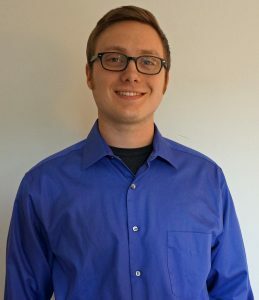 The Forensic Sciences Foundation (FSF) is proud to announce that Logan D. Hickey, BS, was awarded the 2017-18 FSF Jan S. Bashinski Criminalistics Graduate Thesis Assistance Grant for his paper, Analysis of Problematic Controlled Substances by GC/MS Without Sample Preparation Using Solid Phase Microextraction (SPME) With On-Fiber Derivatization. The award consists of: $1,700, a plaque presented at the Criminalistics Section Business Meeting, complimentary meeting registration at a future AAFS meeting where his thesis has been accepted for presentation, and up to $1,300 for travel and per diem expenses toward the future meeting attendance. Mr. Hickey holds a Bachelor of Science degree in Forensic Chemistry from Western Illinois University and is pursuing his Master of Science degree in Forensic Science from Indiana University Purdue University Indianapolis. He is currently researching the development of novel Gas Chromatography/Mass Spectrometry (GC/MS) methods for the analysis of controlled substances and explosives. He is also an applicant for membership in the Criminalistics Section. Congratulations and good luck, Logan, as you pursue your career in the forensic sciences!